When Universal Orlando announced that they would be doing construction on The Incredible Hulk coaster, many just yawned it off. It wasn’t until the coaster completely disappeared, and was found in a junk yard that people really started paying attention. Many of our readers asked if it was gone for good, and had questions of “WHY!? !” as the coaster disappeared completely from the park. Now, we’re happy to say that The Hulk is returning, and it’s coming back in a rage. Are you ready? 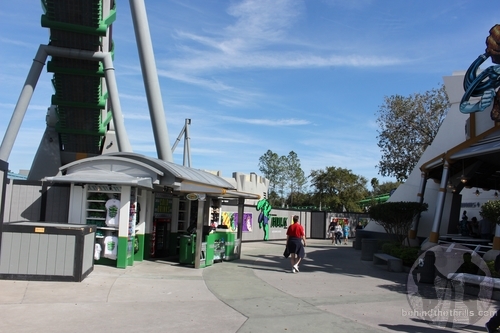 While the view hasn’t changed much as you walk through Universal’s Islands of Adventure, and into Marvel Superhero Island, The Hulk is coming back…one piece at a time. 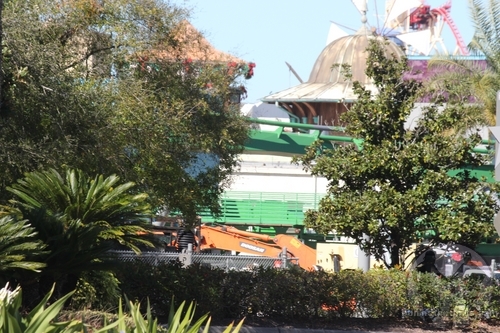 The park had said that the coaster would be going down for a “refurbishment”, but what they meant by that was a total and complete overhaul. The new Hulk will (hopefully) be the same layout as the old Hulk, the only difference? It will be brand new track. 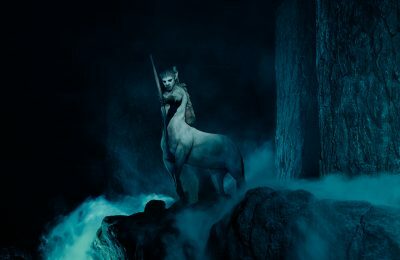 Once you get the entrance, you can start to see green poking out over the walls towards Storm Force, which is the indication that the Big Guy is coming back. New track, new cars, and a new queue will make this coaster an all new attraction. We only have to wonder, does this count as a new coaster credit? 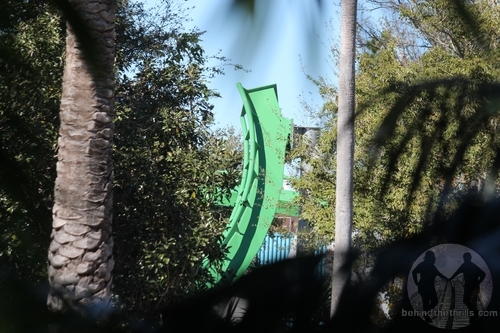 A walk from Cabana Bay Beach reveals that not only is the coaster back, there’s more of him that you can see in park. The first half of the last loop, and the station is back in place, and getting ready for more to join him! 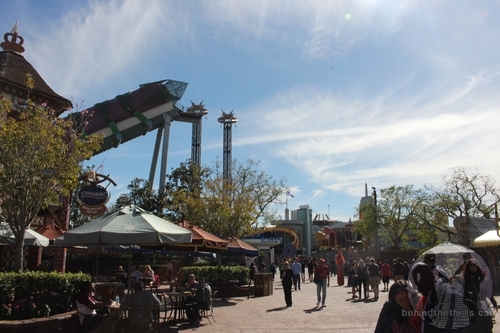 The new coaster will be part of a major addition to Islands of Adventure in 2016, which will see not only the return of The Hulk, but also King Kong as Reign of Kong takes shape. Stay tuned for more construction updates later today! Stay tuned for more from Universal Orlando, and be sure to get social with us on Facebook and follow along with us on Twitter @BehindThrills for the latest updates! For our latest theme park videos please be sure to subscribe to us on YouTube! 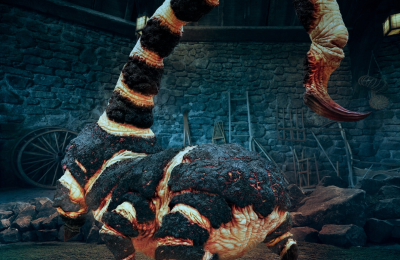 For more information about Universal Orlando, including tickets, visit the official website by clicking here! Accio shoes! 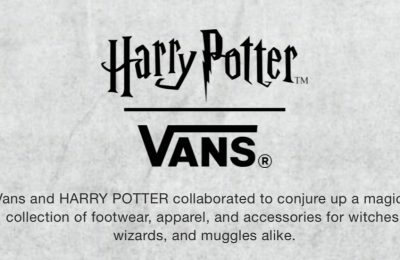 Harry Potter Vans coming soon!